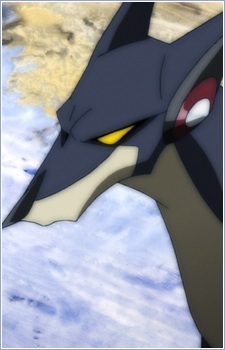 Originally Tetsuya's pet dog Lucky, its data was used to revive it as Friender after it was killed. In order to support Casshern, he can transform into a jet, submarine, tank, or a motorcycle, and is even able to breathe flames. Friender is a brave robotic dog capable of standing up to the Andro Army alone. A robot dog who stayed with a robot community that peacefully accepted the idea of death, Friender himself does not display any signs of deterioration. After Casshern destroys the entire community after going berserk, he cautiously follows him, eventually trusting him. He primarily intervenes to stop Casshern whenever he goes berserk. Near the end of the anime, only he stayed alive, playing with Ringo.